Fat bombs are high fat, low carb snacks that you can use as a quick breakfast, a quick mid-afternoon snack, a pre- or post-workout snack, or as extra fuel during your day. 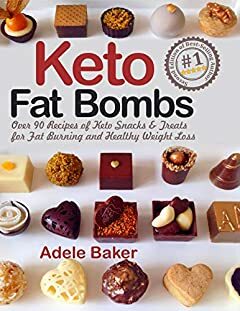 Fat bombs can be savory or sweet, but they are always made from healthy fats and low carb ingredients. As a GIFT, at the end of the book, Iâ€™ll give you a BONUS!